My husband and I were on a short vacation in Vegas recently. We pretty much just sat by the pool all day long and sipped the resort’s Strawberry Mojitos. I immediately noted that we needed to make them at home! The mojitos at the resort weren’t heavy on strawberry flavor. We’ve made quite a few cocktails with Jarritos brand sodas before… so I was happy to find that they have a strawberry flavored soda! You should be able to find this type of soda in the Latin aisle of your regular grocery store. If not, you can certainly use club soda… it just won’t have as strong of a strawberry flavor. And that’s okay… these will still be good with club soda too. 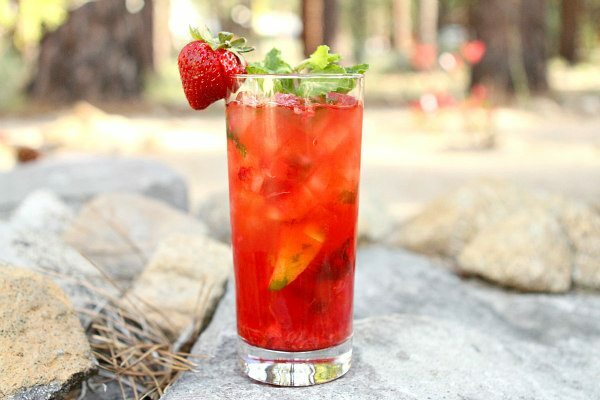 A good bout of muddling of fresh strawberries and mint really brings out the flavors you want in this cocktail. 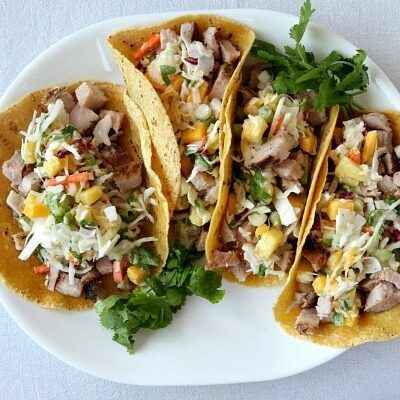 They’re perfect for summer Happy Hours! Sprinkle 1/2 teaspoon sugar in each of two tall glasses. Squeeze the juice from 2 lime wedges into each glass. 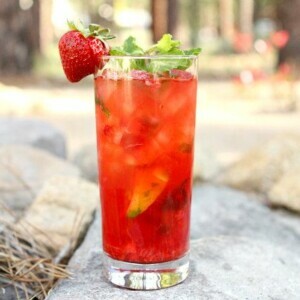 Add 4 mint leaves and 1/4 cup strawberries to each glass. Muddle the mixture in each glass to bring out the flavors. If you don't have an "official" muddler, it's okay to use the handle of a wooden spoon. Add a few ice cubes and 2 ounces of white rum to each glass. 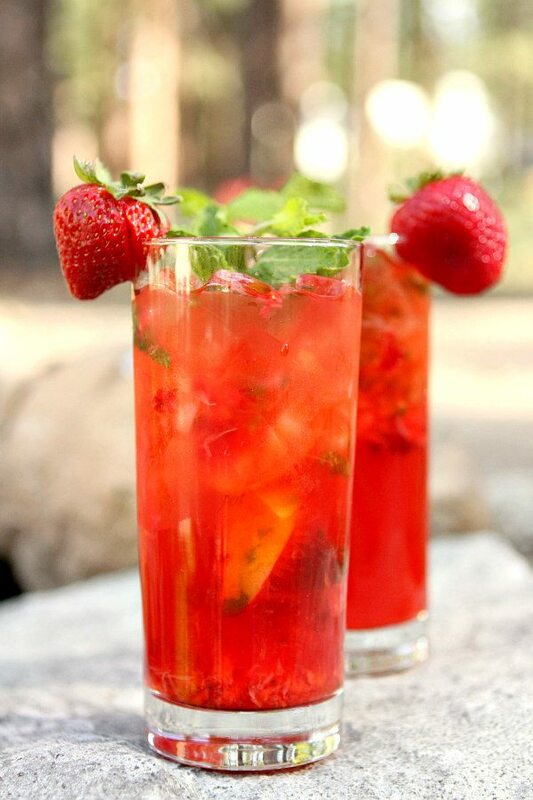 Pour strawberry soda into each glass, stir, garnish with a strawberry (if desired) and serve. 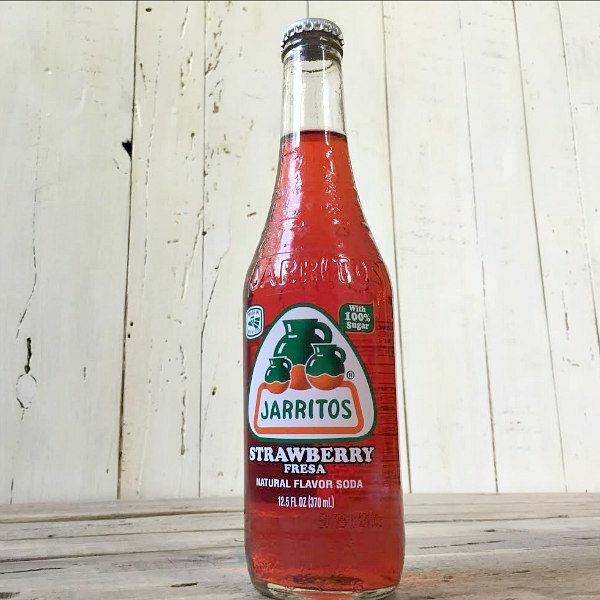 Jarritos strawberry soda can be found in the Latin aisle of many regular grocery stores. Club soda can be substituted... it just won't have as strong of a strawberry flavor. 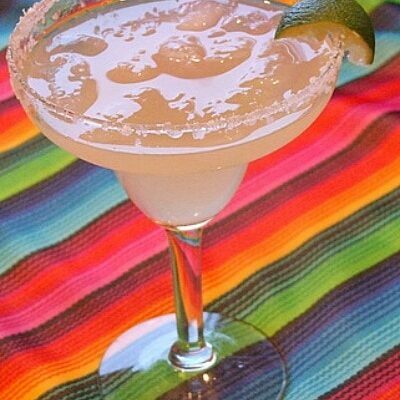 If using club soda, add a full teaspoon of sugar to each cocktail. I like how gave a wonderful twist to an old-time favorite drink of everybody. I will definitely consider this wonderful twist for my upcoming party next week. I’m glad you shared this recipe. Thanks! Oh man, this sounds so refreshing! Thank you for sharing! I love this twist on a mojito! This has such a beautiful color from the soda! 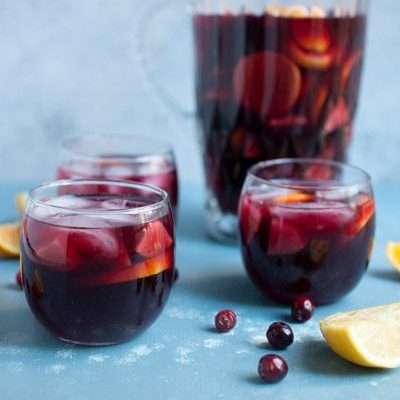 For a mocktail, would you substitute anything for the rum, or just leave it out? I had a virgin watermelon-basil mint mojito at a restaurant last year while on vacation and I can’t get it out of my head. This sounds like it would be just as good, but I don’t drink. So very good, and such a fun twist with the soda! My mint is growing like crazy, definitely mojito season.Thank you for the mojito link love – have a happy 4th!